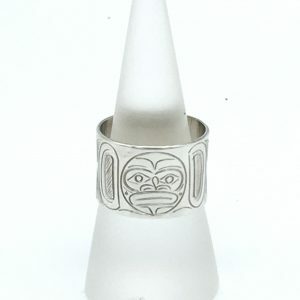 West Coast Tube Ring, featuring sterling silver hand carved by Canadian West Coast Indigenous artists. 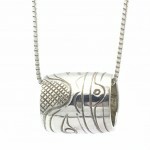 Each ring is completely hand made, hand carved, creating a one of a kind work of art. 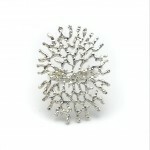 The image shown is of the MOON, but you may choose any totem. 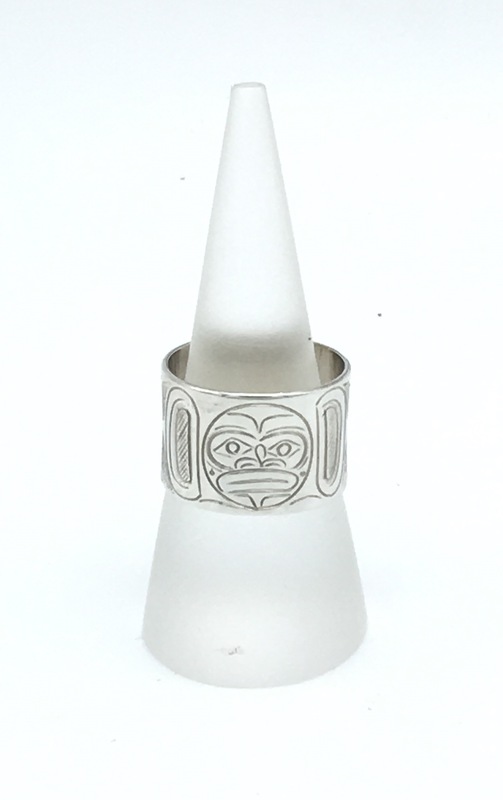 There is a space for “notes” at check out, where you may specify which totem you would like as well as the ring size you require. 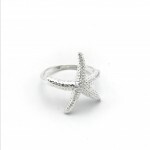 As each ring is custom made just for you, there are not returns or refunds on these items. 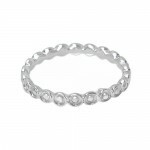 Be the first to review “West Coast Tube Ring” Click here to cancel reply.